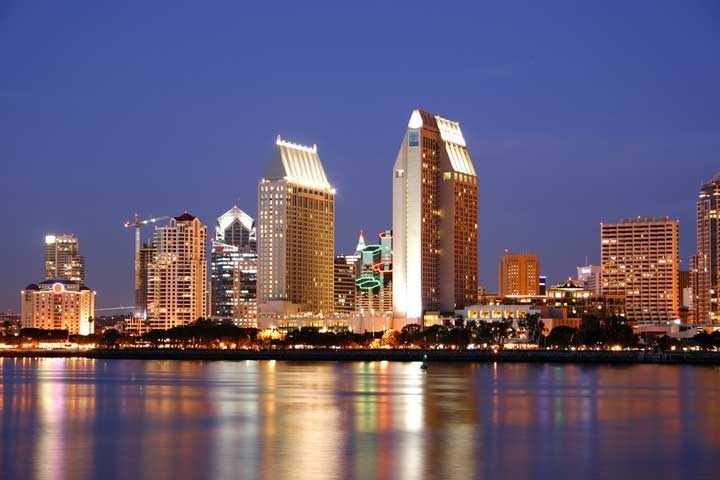 Pacific Gate is one of the newest additions to the downtown San Diego skyline. Slated for completion in 2017, the 41 high building will be located at 888 West E Street in the upscale Colubmia District with a variety of two to three bedroom floor plans to choose from. The floor plans will start at 1,240 square feet and go as high as 2,608 square feet. Real Estate prices have just been released for a few select units that begin at just over $1 million dollars for a two bedroom, two bath unit with 1,603 square feet. The highest priced property is currently just under $4 million dollars. The appearance will be a sleek contemporary design with a unique curved glass tower. Early reservations are now taking place for this brand new building. Please contact us at 1-888-990-7111 today for more information on Pacific Gate condos and any of the units listed for sale here.